48 IDA Weber Carbs: Highly Modified. These carbs feature major modifications to suit race applications. 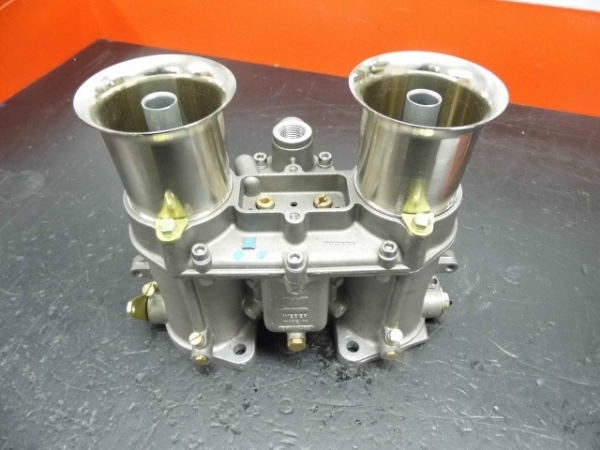 Areas modified include carb bodies, shafts, butterflies, float bowls, float valves, and come with correct design chokes, emulsion tubes & baseline jetting for Cobra / GT40 / Lola T70 applications. Price: £4800.00 + vat per set of four.